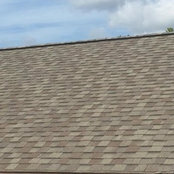 Massey Roofing is a Central Florida roofing company. We specialize in asphalt shingle, metal, flat roofs, and commercial. Here at Massey Roofing we strive for a high level of customer satisfaction. We take pride in our work and do not cut corners. We walk you through the entire process and keep you updated at all times. We are properly licensed, insured, and bonded.